Info for Ever Felt the Pain? 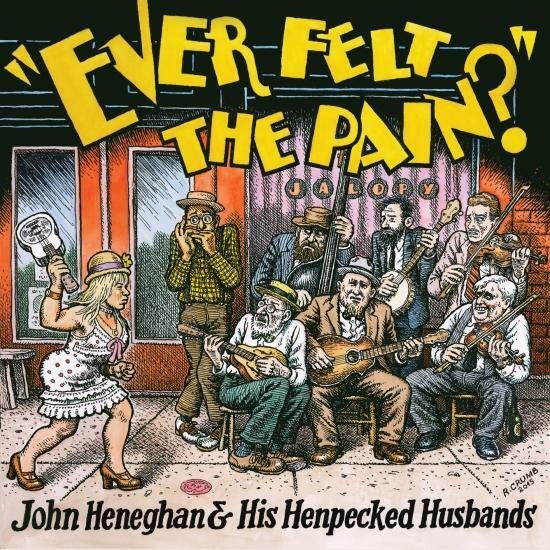 John Heneghan & His Henpecked Husbands is a group founded by one of the forming members of Eden & John's East River String Band. It features old-time music legend Robert Crumb on Mandolin as well as Grammy winner Dom Flemons (Carolina Chocolate Drops) and Pat Conte and members of The Down Hill Strugglers. Country Blues acoustic guitar masterpieces like 'Love My Stuff' and ' Cocaine' are featured along with old-time classics 'Warfield' and 'Eden On The Railroad'. It also features an unbelievably beautiful cover by Underground Comic/Old-Time music legend Robert Crumb (Cheap Suit Serenaders/ Fritz The Cat/The Book Of Genesis). Standout country blues are Rattlesnake Blues, M&O Blues, Love My Stuff, Ride Away – with a tip of the hat to John Hurt, and Woke Up Blind, with Heneghan on 9-string guitar. Ever Felt the Pain is a perfect antidote to the ordinary. It really doesn’t hurt but it will sting a little. Eden and John’s East River String Band have been playing, releasing CD’s and LP’s and touring America and Europe since way back in the days of old, around 2006 to be exact. The brain child of John Heneghan, Eden Brower was soon lured into the duo with promises of chocolate, a National Resonator Uke and her name being before John’s in their lengthy moniker.They play a vast spectrum of traditional American Blues, Country and Pop music ranging from the late 19th to the early 20th Century. With John on vocals, guitar and mandolin and Eden on vocals, guitar, kazoo and the aforementioned resonator Uke, their love and reverence of old music shines through in every song. 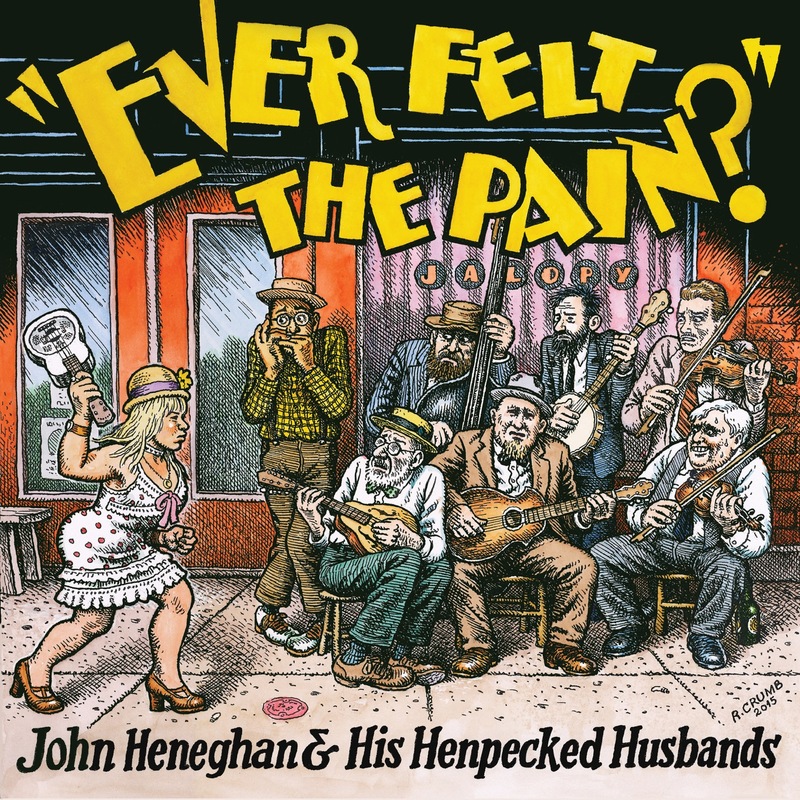 They have released four albums and often have special guests sitting in with them for their recordings and live performances, including Robert Crumb, the famed underground cartoonist who also does all the artwork for the band causing Eden to exclaim, ‘My legs are not THAT big!” to anyone who will listen. 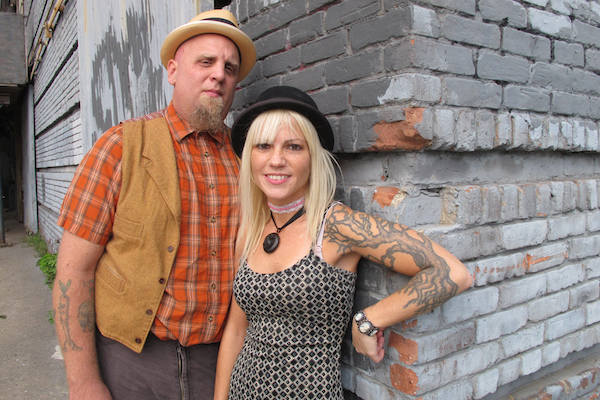 The East River String Band has several projects coming out this year including a new album entitled, ‘Take a Look at That Baby” and they plan to play gigs from now until the end of time.